Mansfield Primary School children are proud to wear their red and blue school uniform. It gives the students a sense of identity and belonging. The uniform is easy to care for and reasonably priced with winter and summer options available for girls and boys. New and good quality second hand items are available from the uniform shop. 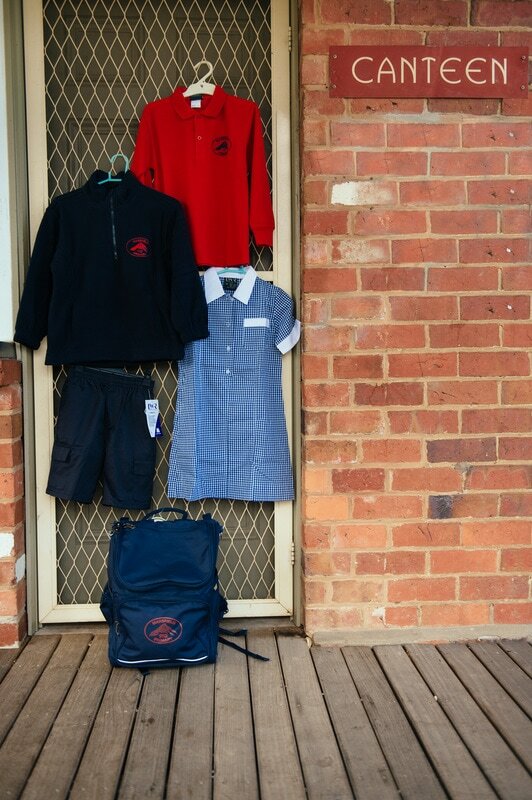 The uniform shop is coordinated by a parent volunteer and is open on Monday afternoons, 3:30 pm - 4:00 pm. Orders can be made and paid for at any time on the pink order forms available at the school office or click on the link below. As well as the standard uniform broad rimmed navy school hats are required to be worn every day in Terms 1&4.